The mustache trend is still going strong and no one knows it better than Sally from Sally's crafts. 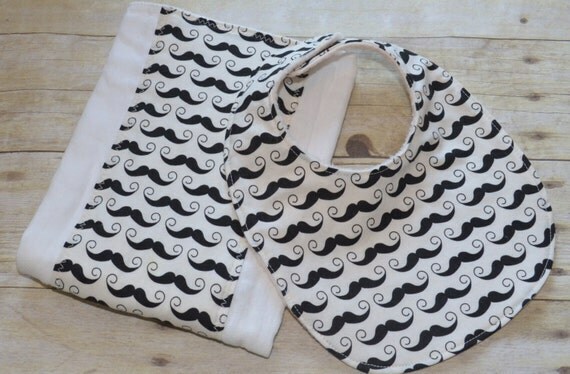 Offering a range of baby items like fabric diaper covers to bibs made of mustache fabrics, Sally knows what a hip new mom wants! Sally describes herself as a mom and grandma who loves to craft. Having crocheted and sewed for more than 30 years, she's recently discovered the art of photography. Looking through her store, I found the perfect bibs! I would have loved using this when my daughter was younger! These are made of 100% cotton from Fabric Lovers. I never thought to use the pattern like this but it's a perfect fit! 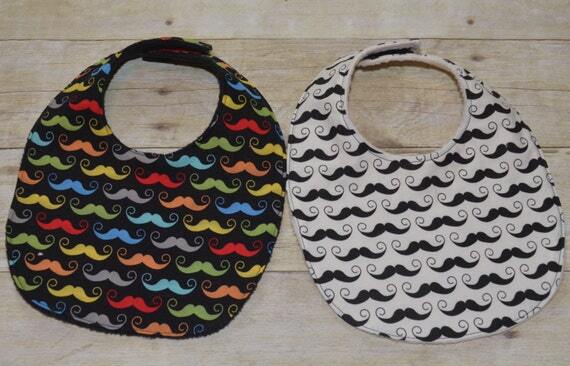 The black and white one looks so classy but my true favorite is the colorful mustache print. The repetitive and colorful pattern is perfect for any baby and their spills! "I really am in love with this fabric. Real easy to work with, and its my favorite of the Geekly Chic mustache fabrics. Order came very quickly too! I will be back for more! Thanks again!" Follow Sally on Etsy or like her on Facebook! Want us to feature your projects? Send me an email at Yasmine@FabricLovers.com. You can also follow us on Twitter, like us on Facebook, follow our Pinterest, or just stay tuned for more! From fabric to patterns to tutorials, we're here to share ideas! Friday Favorites: Fabric, Quilts, And Summer Fun! Floral Decor Inspiration for Your Home!